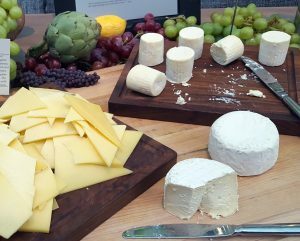 Wine and cheese make for a popular culinary pairing, which was highlighted last weekend at “Tour de Napa” presented by Hi-Time Wine Cellars at Crevier Classic Cars in Costa Mesa. 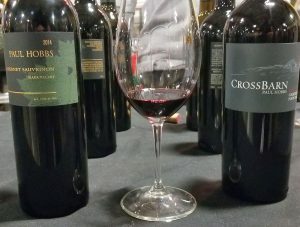 Some of Napa Valley’s best wineries poured over 100 different wines, while Sidedoor gastropub in Corona del Mar provided a nice array of cheeses and charcuterie. The bread came courtesy of Bread artisan bakery. 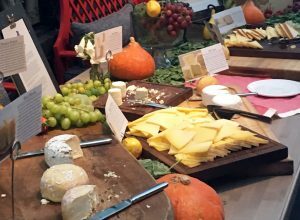 I was able to sample a handful of wines from Cain Vineyard & Winery, Cakebread, Caymus, Freemark Abbey, Heitz Cellars, Odette, Paul Hobbs, and Plumpjack Winery while indulging in the Sidedoor cheese display. 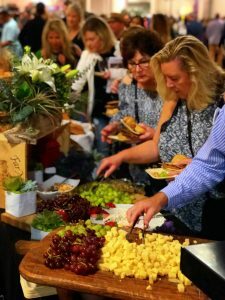 A portion of the proceeds from the evening will benefit The Napa Valley Community Foundation and their tireless work helping Napa’s residents recover from the devastating fires of 2017. Hi-Time in Costa Mesa has long been my go-to spot for wine. 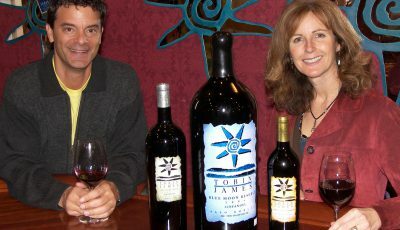 They carry an impressive array of California vintners, plus a large selection of international wines. Sidedoor has become a favorite spot to indulge in artisanal cheeses. Each month, the gastropub hosts a Creamery Takeover” to showcase fromage from boutique creameries around the country. The next Creamery Takeover is Wednesday, Feb. 21 starting at 4:30 and going until the cheese runs out. Beehive has won numerous awards for its cheeses, which include everything from Barely Buzzed espresso and lavender hand-rubbed cheese to TeaHive which combines the soothing qualities of tea and the relaxing properties of bergamot. 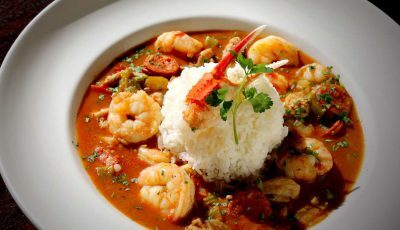 They also make a Cajun cheese, an Irish-style cheese, apple-walnut smoked, and many more. SideDoor’s own certified cheese monger, Tracy Nelsen, will be on hand at each takeover to educate on the various cheeses presented. The featured cheeses will also find their way into select SideDoor menu items for that evening only. Upcoming takeovers: Cato Corner Farm on March 21, and Cascade Creamery on April 18. An ultimate cheese party highlighting all creameries featured in the series will take place in May. A five-piece cheese board is $28. 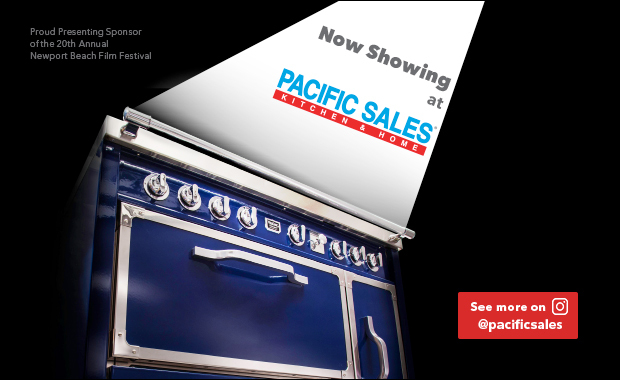 Call (949) 717-4322 or visit sidedoorcdm.com for reservations and more information. 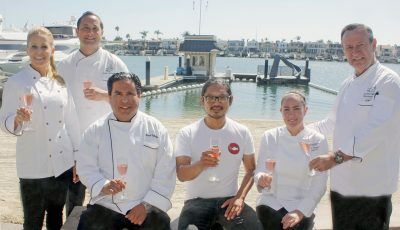 And for those unfamiliar with Sidedoor (adjacent to Five Crowns), it’s Corona del Mar’s first and only English gastropub. A red key hangs over the entryway on Poppy Street. Cozy up to one of the fireplaces and explore the ever-changing menu offering seasonal plates, cheeses and charcuterie.